Gaussian elimination is often used as a pen-and-paper exercise for solving simple linear systems, but the geometric counterpart may remain elusive during this exercise. Use this Demonstration to visualize the planes and solutions of a system of three linear equations as you apply elementary row operations to the system. 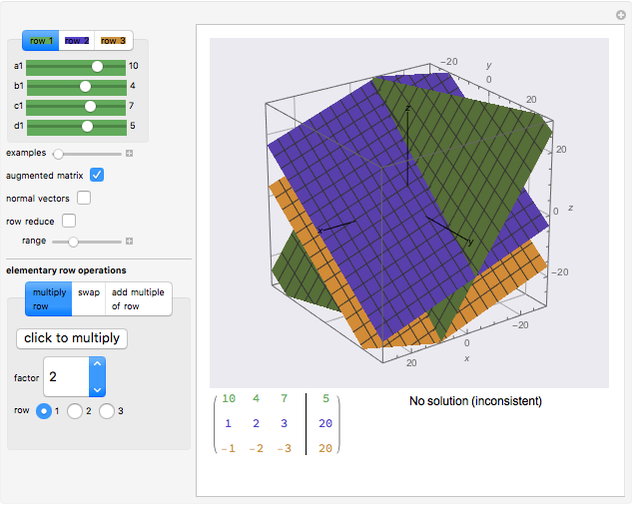 Alternatively, simply play around with the parameters to visualize various types of solutions. Solutions are shown in red, either as a point, a line, or a plane. 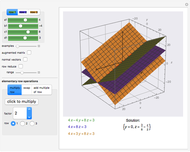 The color of each linear equation is repeated by the parameter sliders, the plane, and the normal vector. Use the tooltips of the user interface as guides. 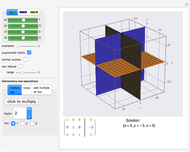 Klaus Michelsen "Planes, Solutions, and Gaussian Elimination of a 3×3 Linear System"